Get Your Watercraft Inspected Early! 2014 pre-season inspections are now available at the City of Bellingham’s Natural Resources Office at 2200 Nevada Street, Bellingham, WA 98229. Call (360) 778-7975 to schedule an appointment. Checks and credit/debit cards accepted. Take the online AIS Awareness Course today to receive a $10 discount on your AIS Permit. 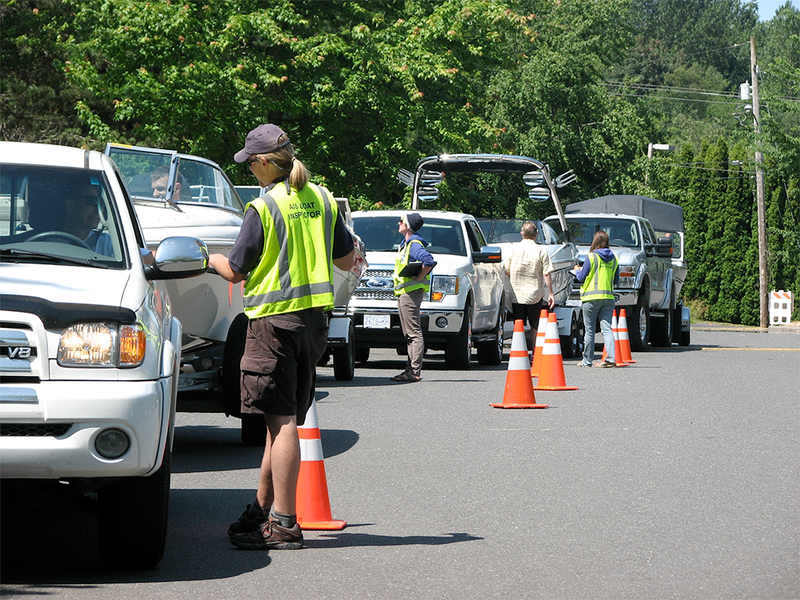 Inspection stations open at Bloedel Donovan and Lake Samish on April 26, 2014. 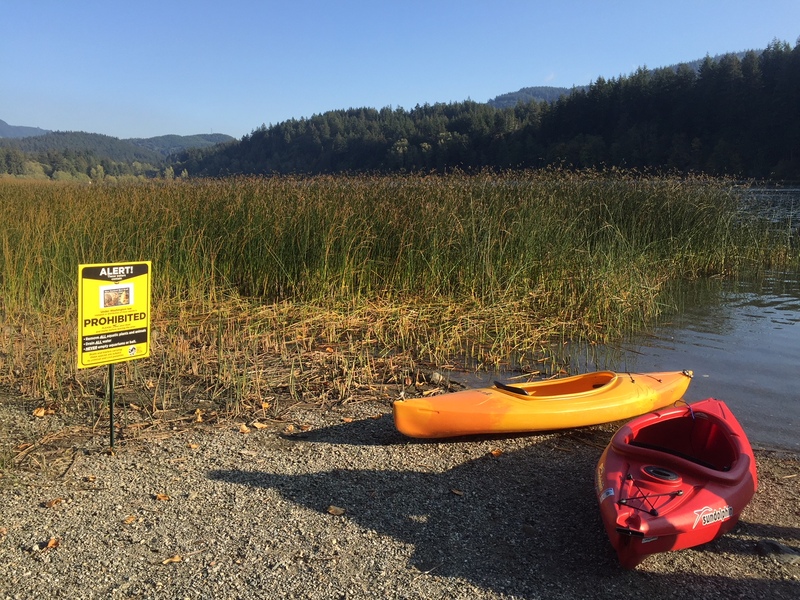 Come to the Bloedel Donovan Gymnasium on Thursday, March 27 from 6:30 – 7:30pm to learn more about new 2014 boating requirements for Lake Whatcom and Lake Samish. Permits are now required for non-motorized watercraft. 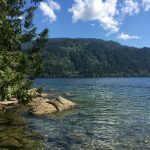 Inspections available at Lake Samish and South Bay. New AIS Awareness Certification Course coming soon! Get certified to receive a discount when purchasing your annual permits. Staff from the Lake Whatcom Management Program will be there to give a presentation on 2013 Program results as well as to discuss the program changes for 2014. For more information contact Teagan Ward, (360) 778-7972, teward@cob.org. 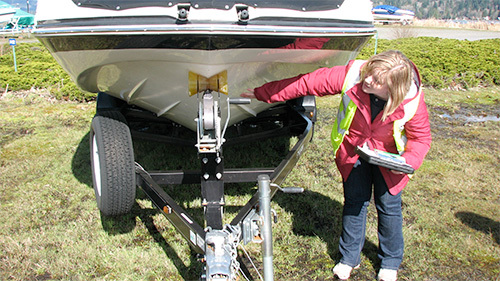 We’ve just released our annual report highlighting our 2013 Boat Inspection Program results. In 2013, we conducted a total of 3,192 watercraft inspections and 4 decontaminations at Lake Whatcom and Lake Samish. 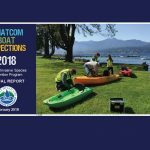 While most of the boats we surveyed were from Whatcom County, boats had visited 128 different waterbodies in 11 different states/provinces prior to launching in Lake Whatcom or Lake Samish. 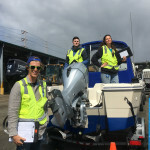 The majority of boats that were stopped at the Aquatic Invasive Species Check Station in 2013 were clean; however, we did find some boats with vegetation or standing water on board that required some additional attention. Our inspectors used these situations as an opportunity to educate boaters about the importance of cleaning, draining, and drying their boats between every use. No watercraft with invasive mussels were intercepted at the Aquatic Invasive Species Check Stations in 2013. However, there were three boats that were last used in lakes with established zebra or quagga mussel populations. Luckily they had been out of the water for a long time! 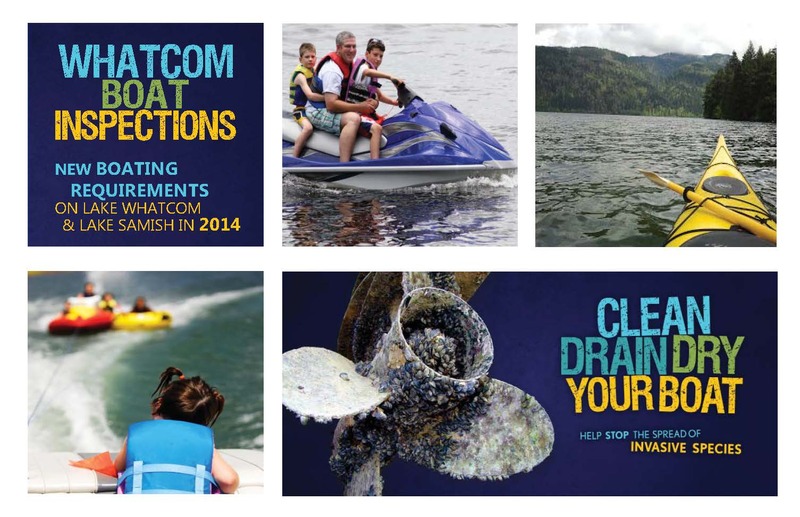 More detailed results from the 2013 boating season can be found in the Lake Whatcom Aquatic Invasive Species Program 2013 Annual Report (pdf).